For the month of September we are offering a One Hour Sports Massage for just £29.00 (usual price £40) with either Natalie Pettitt or Alison Trehearn. To take us up on this offer please call us on 01763 87 80 87 or pop in to the clinic to book your slot. 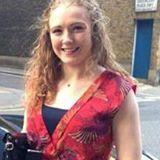 Louise Hampton, owner and Chiropractor at Attend2health is taking part in the Great North Run this coming Sunday 7th September 2014. 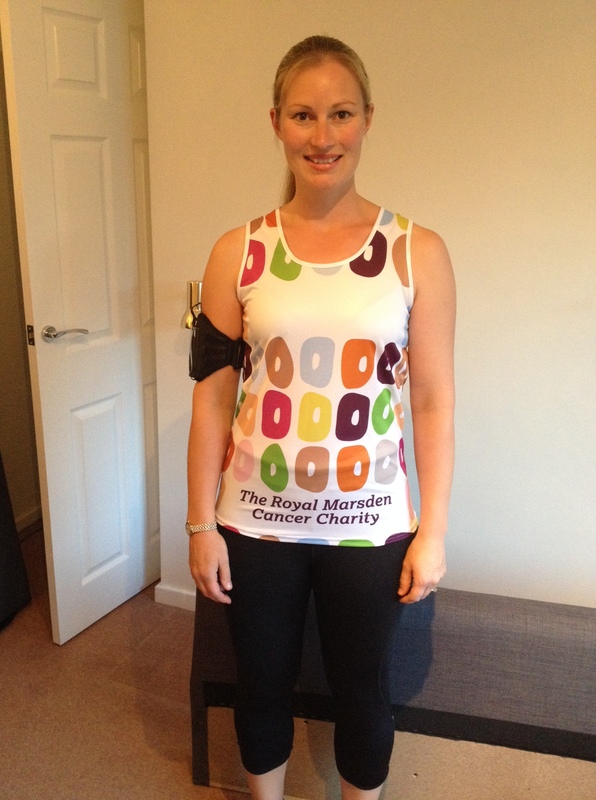 Louise is running to raise money for The Royal Marsden Cancer Charity. 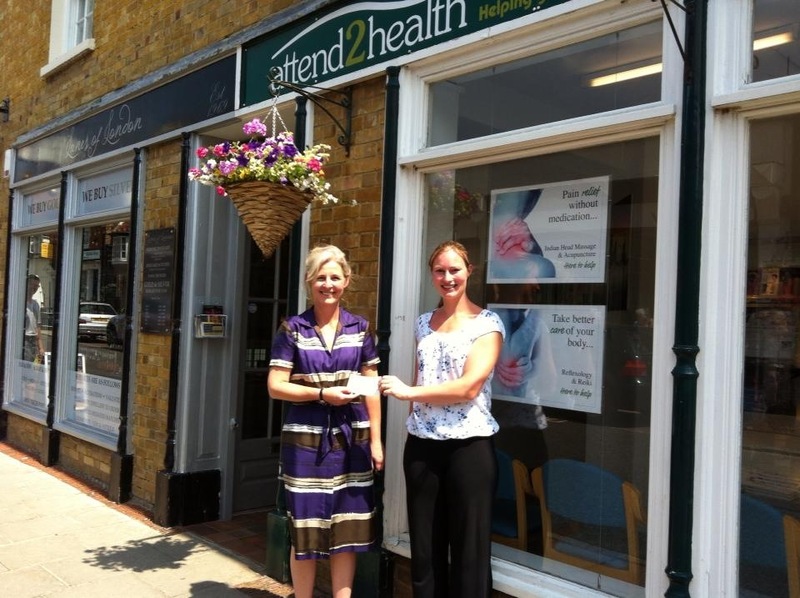 If you would like to sponsor her please call in to the clinic at 58 High Street, Buntingford or call us on 01763 87 80 87 and we can take your details. I’m sure you would like to join us all here in wishing Louise the very best of luck, such a worthy cause and such a fantastic effort already put in with months of training. Well done Louise, we will be thinking of you on Sunday. Claire focuses on what you can eat rather than what you cannot eat. She will support you in making gradual lifestyle and dietary changes, to enable you to reach your goals and enhance your wellbeing. No strict diets or calorie counting is required. Whatever your needs, there is a package to help you enjoy life to the full and maximise your wellbeing and success. To find out more or to book an appointment with Claire call in to the clinic or phone us on 01763 87 80 87 We look forward to hearing from you. We have all been affected by Cancer in some way in the past and felt this was a great way to get involved and help raise some money for a great cause. Some of us will be running, Louise Hampton, Becky Harpin and Sophie Parkins, and others Talia Lethbridge, Rhiannon Poucher, Nikki Saydraouten, Tracey Burton and Natalie Pettitt, walking/jogging. Our team consists of Chiropractors, Massage Therapists, a Physiotherapist and admin staff. We will be finishing the day with a picnic kindly supplied by Louise and are hoping for sunshine! 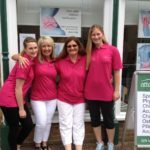 In our photo here we have, from left to right , Becky and Nikki (Reception) Tracey (Clinic Manager) and Louise Hampton (Chiropractor) We will post pictures from the day in due course! Thank you to everyone who has already sponsored us. Dr Louise Hampton went along to Ralph Sadleir School, Puckeridge recently to educate the pupils on the importance of good posture. 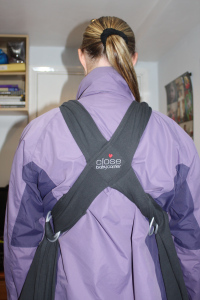 ‘With more and more younger people suffering with back pain I think that it is really important to educate children on the importance of keeping active, not carrying too much in the school bags and looking after their spines. With the increase in technology everyone is spending increasing amounts of time sitting at computers or on phones. The back has a poor blood supply and needs movement to get the blood to the discs so this is why it is so important to have a stretch every twenty minutes or so.’ Said Dr Hampton. 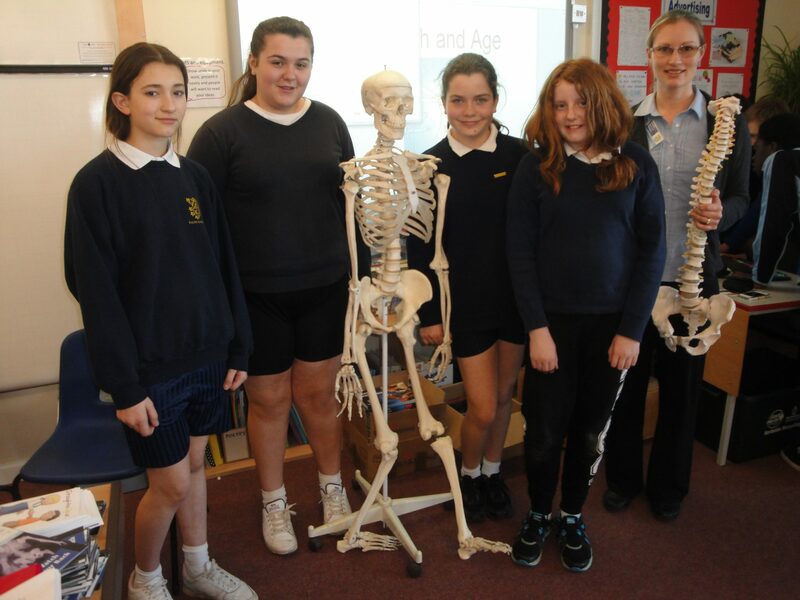 The pupils found the day most informative and especially enjoyed the model of the spine. We are pleased to announce we now offer one to one pilates with a qualified instructor on a Friday afternoon between 3pm and 8pm. We held our first sessions on Friday 12th July and had a great response to our offer of half hour sessions for just £10. 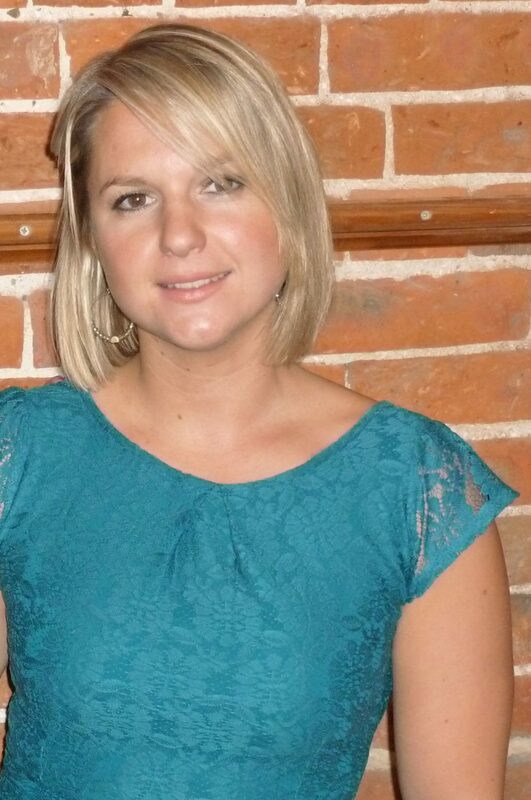 We are all looking forward to our private lessons from Kat after the great reports from her first clients yesterday. Pop in and see us for some information or just call down on a Friday between 3pm and 8pm to meet Kat and see what she can do for you. Hurry and book your slot as our offer of £10 per taster session only lasts until Sept. Please go to the Pilates page for more information or call Tracey or Nikki on 01763 878087 We look forward to taking your call. Louise was very pleased to hand over a cheque for £313 to Helen Loughran from Freman College. 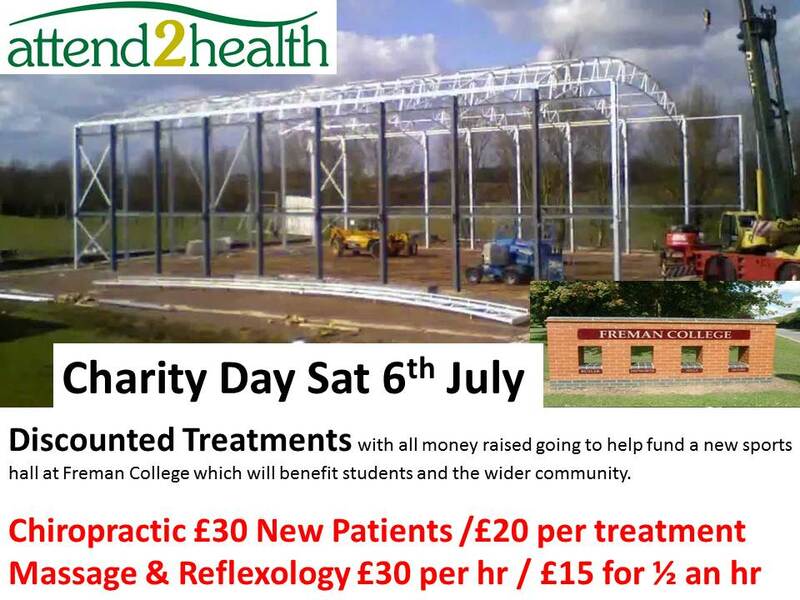 Thank you to everyone who came along and had treatments on the day and to all that supported us. The Sports Hall will benefit not only the students at Freman but the whole community and we are very pleased that here at attend2health we were able to lend a hand with the funding. This Week is Chiropractic Awareness Week and here at Attend2health we are encouraging parents to straighten out their approach to back care. Consumer research shows that 84 % of people in the South East have suffered from back / neck pain at some point in their lives – 64% of those being parents. The research, commissioned by British Chiropractic Association, also shows that over half of those parents say their back or neck pain has prevented them from lifting or carrying their child. Some parents said their back or neck pain has prevented them from carrying their child’s car seat or carry basket and lots of parents say it can prevent them from playing with their child. 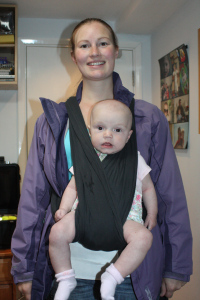 Carrying your baby or toddler – Carry your baby as close as possible to your centre of gravity, select a carrier that ‘criss crosses’ at the back. As your baby grows to toddler stage encourage them to do as much as possible for themselves, such as climbing into car seats etc. This will save your back lots of stress.